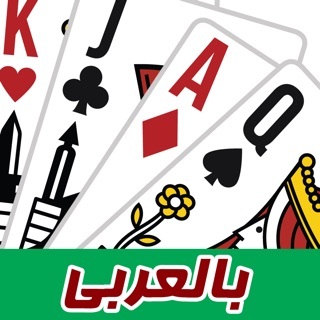 Play the classic game of Tarneeb with friends and family. 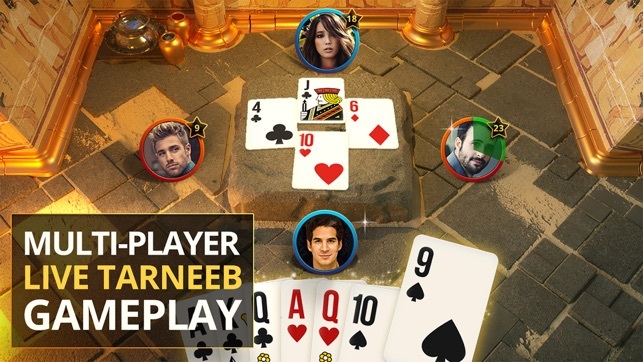 Challenge others in the largest community of Tarneeb players, or level up to compete with elite players and prove you’re a true Tarneeb Master. 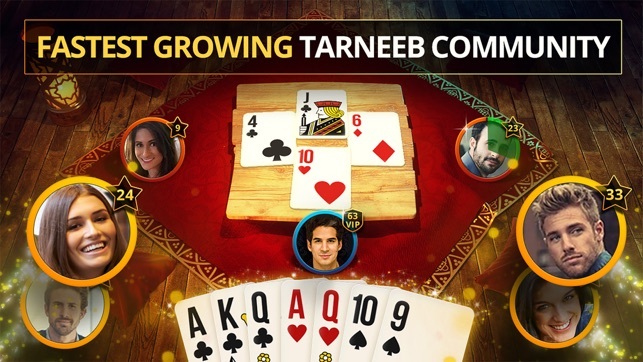 From the makers of Tarneeb.com and THETA, we are proud to bring you this new refined version of Tarneeb. Thank you for all your support. 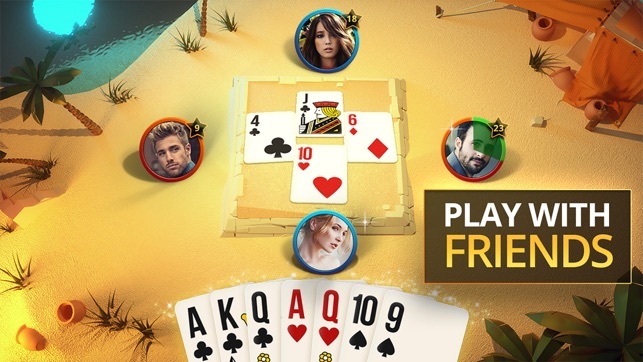 FREE TO PLAY - Free to play for everyone. 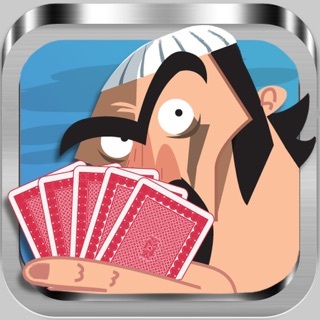 Refine your Tarneeb skills in the Casual room, join new daily events, or compete with the pros in advanced rooms. Play with friends online in a custom game room. Tarneeb Masters new ranking system will always give you a challenge and a fair playing field for everyone. Earn rank to compete with more challenging players. Some people prefer to stay ninja's. We get it. Come right in and stay anonymous. CHAT, EMOTICONS, COOL MOVES , PROFILES and MORE! Tarneeb Masters has all the features for a social Tarneeb experience. 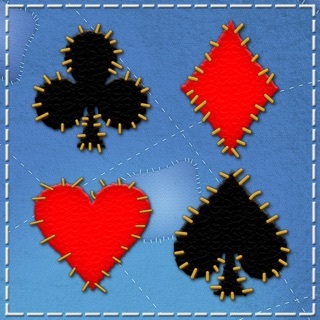 Check out the game and let us know your feedback! The famous computer AI developed at Tarneeb.com is now here: THETA (Adaptive Tarneeb Emulated Human Thinking). 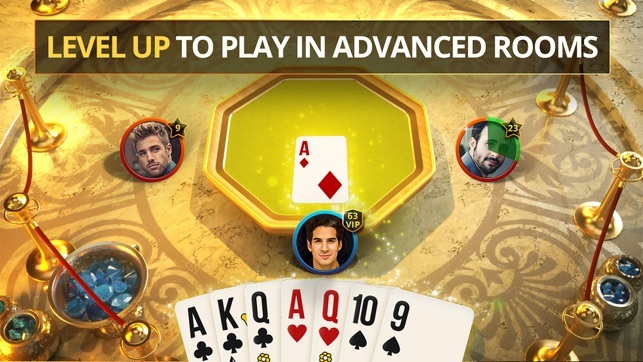 You can enjoy playing with the best players in the VIP rooms. You can either purchase any of our time packages or subscribe on monthly basis. You can have continuous access to the VIP rooms by getting the VIP subscriber for 4.99 USD/month. Tarneem Masters will automatically charge your iTunes Account unless auto-renew is turned off at least 24 hours before the end of your current period. You can turn off auto-renew at any time and still receive full functionality until the end of your current period, but no refund can be provided for unused portions of the subscription. Any unused portion of a free trial period, if offered, will be forfeited when the user purchases a subscription to that publication, where applicable. أقوى و أحلى و أحدث لعبة طرنيب على الآيفون و الآيباد!! إلعب مع أصدقائك و ارفع رتبتك لكي تنافس أقوى اللعبيين لتصبح من أسياد الطرنيب. إلعب مع أصدقائك قي غرفتك الخاصة. الأمر سهل جدا: إشترك في الطرنيب أو عبر الفيسبوك لكي تنافس الأصدقاء من العبة مباشرة. إلعب معهم في أي وقت و مكان و أرهم مهاراتك المتميزة. لعبة الطرنيب ماسترز لديها المميزات التي تخولك ان تلعب و تتحدى الجميع بطريقة مستحدثة و جميلة. يجب أن تربح لتحصل على الكوينز التي تخولك أن تلعب في أعلى مستوى من غرفة اليوم. و إن كنت خبيرا في اللعبة، اشترك في ال VIP لتتنافس مع أفضل اللاعبين في أعلى الغرف. بعض اللاعبين يفضلون أن لا يعرفوا عن أنفسهم. نتفهم ذلك. الآن يمكنهم اللعب كلاعبين مجهولين نسميهم الضيوف. طرنيب ماسترز لديها كل المميزات لتمضية أفضل و أروع الأوقات. إلعب اللعبة و أخبرنا برأيك. إن أشهر كمبيوتر يلعب الطرنيب هو ثيتا. إذا عكست حروف THETA، تجد بما معناه باللغة الانجليزية تقليد الفكر الانساني المتكيف في الطرنيب. We've been listening to you; this update contains enhancements and some bug fixes. The game is a really well made and such a great game to play really wonderful, just 2 things i really wish and wish you can do it please. First thing, make the non-VIP people get more coins chances than they usually can. And make some game modes to increase the coins offline ot would be amazing of Team tarneeb can do it. Please make it happen I would love that. I play your game like daily with my friends and we love to see improvements. Thank you! It was good game till the last update for this application then it became night mare and boring .... always problem in server and many complaints sent and all I receive is funny answers. They creat unnecessary lag in emojis and they removed the nice emojis to avoid cheating but they keep the remaining as no cheating.. i had to delete this application and look for another . Thank you for your review. We are working on enhancing the game even more.